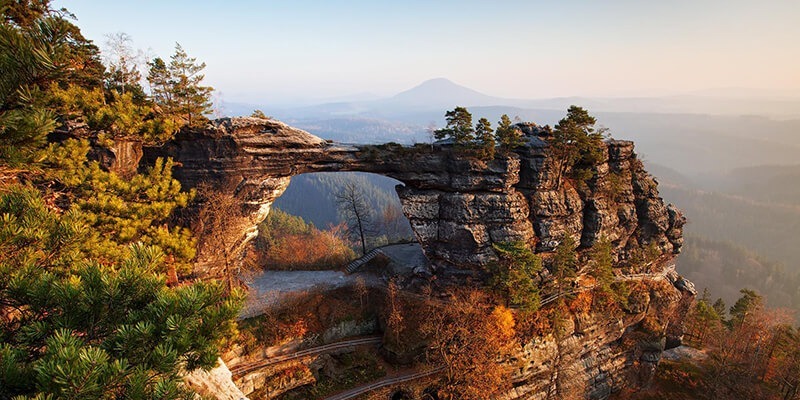 A trip to Bohemian Switzerland is perfect for those who enjoy hiking. Be prepared for stunning views, the biggest sandstone arch in Europe (scenes from the Chronicles of Narnia movie were filmed here! ), easy going trails through the beautiful scenery of the national park and a dinghy ride in a river canyon. 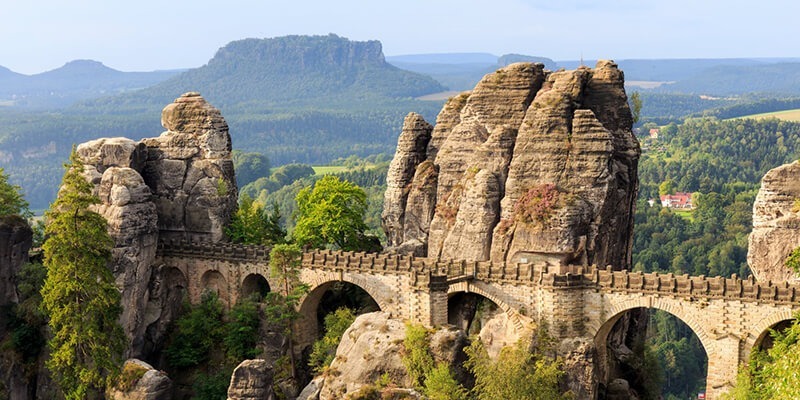 The EU recognized the region as “The European Destination of Excellence” – and it is just a short drive away from Prague. Our friends from Northern hikes are taking you there! Just a 40 minutes train ride from Prague you’ll find yourself in a fairytale. Stroll through the picturesque village and visit one of Emperor Charles IV.’s masterpieces: the castle, dating back to the 14th century. You feel up for some outdoor adventure? 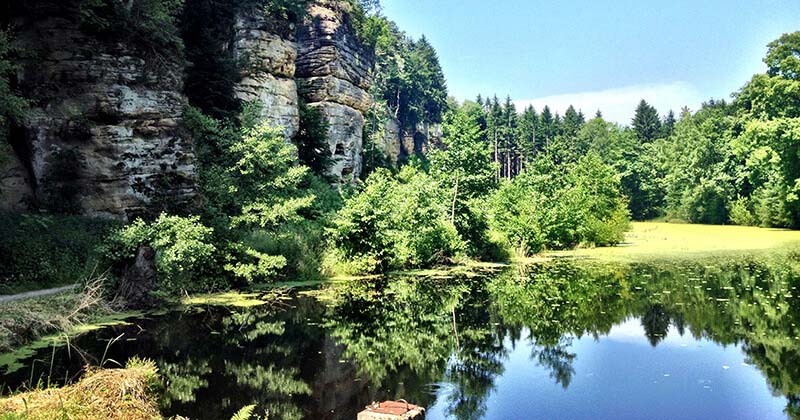 Go for an easy going hike to the Canyons of Velká & Malá Amerika. If you don’t want to go on your own, Biko Adventures is ready to organize your “Big Karlštejn Adventure” from May on. They also got you covered for anything else outdoors involving MTB, road bikes and hiking from easy to advanced. Open all year! 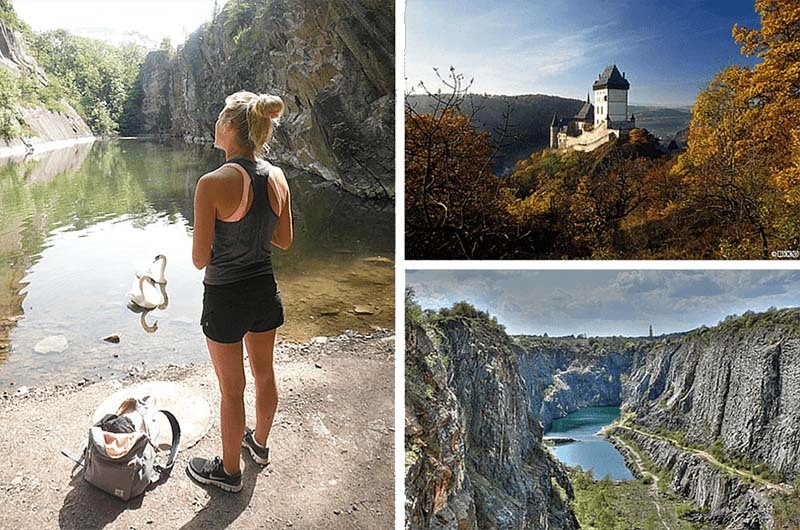 Biko Adventures are also happy to take you to the “Czech Paradise” landscape park with its beautiful castles and sandstone rock pillars. Hikes through the dramatic rock formations, deep shady valleys, meandering rivers and quiet ponds surrounded by forests will surely put your soul to rest so you can recharge for more adventures in our beautiful city (check out what’s going on in our hood & Krymská street). Kost Castle in Jičín, Cesky Raj image courtesy of Ariadne Armstrong. 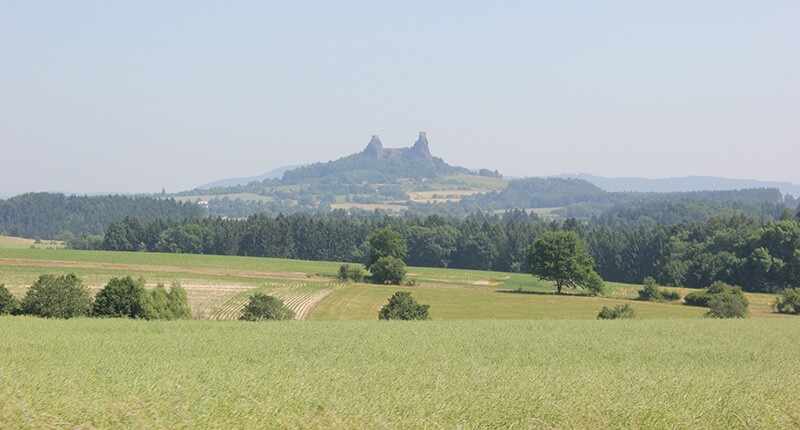 The ruins of Trosky Castle (Hrad Trosky) in the distance image courtesy of Ariadne Armstrong. 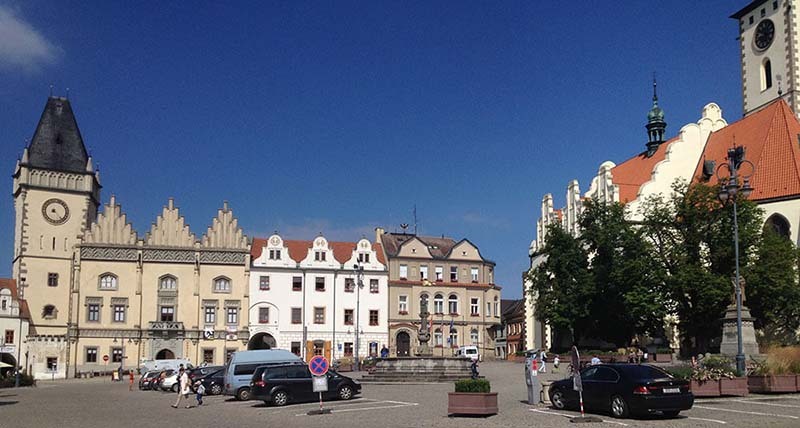 Tabor is a town in south Bohemia, only 1 hour and 20 mins from Prague by train. Thanks to its rich history, architectural monuments and attractive countryside location, the town of Tábor is one of the Czech Republic’s most favourite tourist spots. 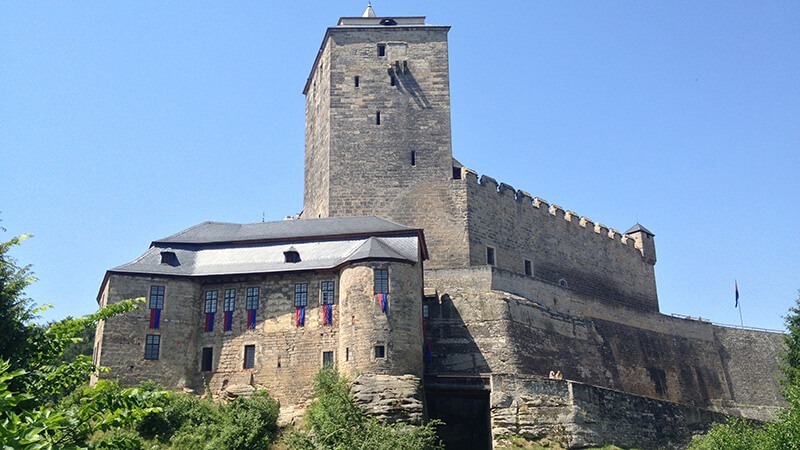 If you visit, make sure to see the Gothic Town Hall, the underground of the town, the remnants of the fortification, Renaissance houses, Kotnov Castle and Hussite Museum. 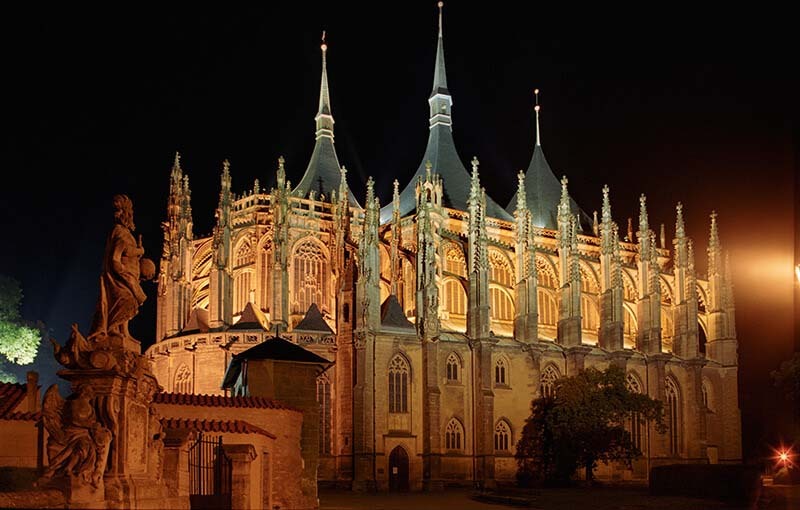 Kutná Hora is on UNESCO’s world heritage list and famous for its “bone church”, a chapel decorated with the artistically arranged bones of up to 40.000 people who fell victim to the black death in the 14th century. 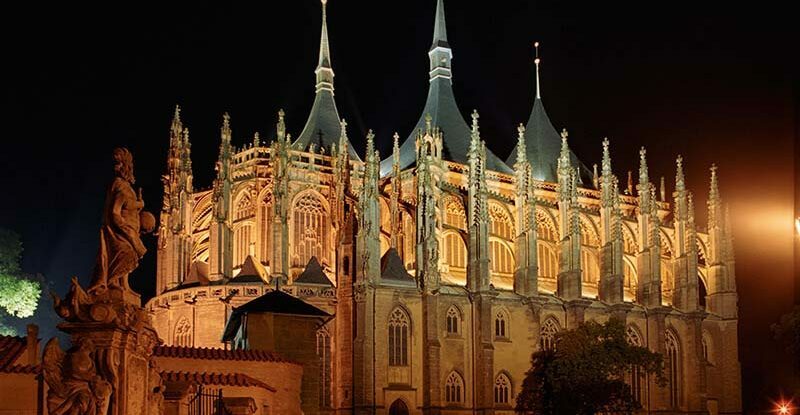 The historic center with the gothic cathedral of St. Barbara is less morbid but no-less impressive. Don’t miss out on a tour of the old silver mines. Kutná Hora is also hosting Creepy Teepee Festival every year in summer. Check it out to catch up on the latest highlights of your favorite hipster’s playlist. Český Krumlov is a peaceful, pretty little town surrounded by beautiful countryside. If you have a few days and an adventurous spirit, you can even reach it with a raft or a canoe on the Vltava. Rental services are for example available in Vyšší Brod, not far from the Austrian border. Camping sites and “drive-in bars” are along the way. Český Krumlov is a popular tourist destination with lots of restaurants, coffee shops, museums and a friendly hostel: the Krumlov House. 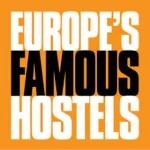 The trip takes 3 hours from Prague, direct buses (Student Agency) are going almost every hour. 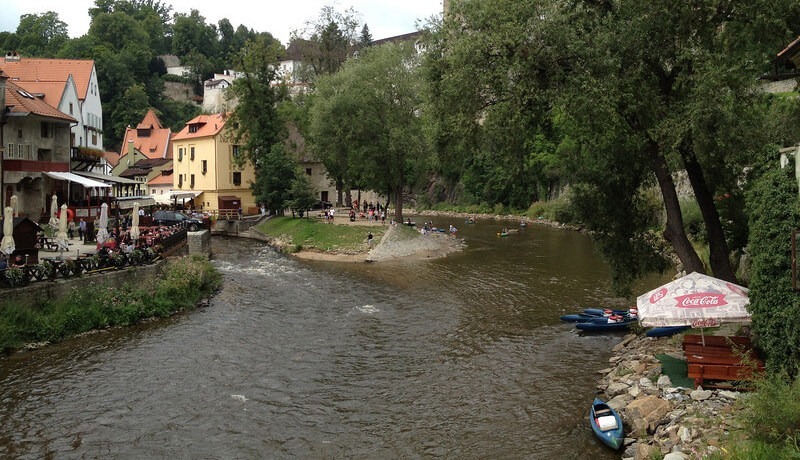 The Vltava, Cesky Krumlov is perfect for rafting image courtesy of Ariadne Armstrong. The castle where Archduke Franz Ferdinand resided before he was assassinated, sparking WWI. Located in Benešov, 1hr south, it features the Archduke’s antler and weapon collection and a 555 acre park with rose gardens, forests, lakes & a café. The massive 18th century fortress of Terezín had served as a prison even before the Nazis transformed it into a Jewish ghetto and a concentration camp on the path to extermination camps like Mauthausen. Good Prague tours go there on Mondays, Wednesdays, and Fridays. Their guides will talk you through the daily routines of the prisoners and will include glimpses of the life that prisoners held onto while being held captive. No idea how to get to all those places? 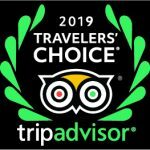 We are happy to assist and arrange tours for you.